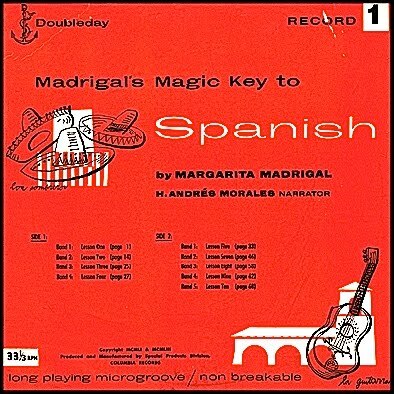 Occasionally I spot the book Madrigal's Magic Key to Spanish (Doubleday NY 1952) and get mildly excited because it has illustrations by one 'Andrew Warhol' and must represent some of his earliest published work. He was 24 at the time. The book is really only worth about $50 in fine shape, simply because there are a lot about. Much, much rarer is the record that came out at the same time and had Warhol's illustrations from the book on the covers of the 2 albums. Andy had done 5 covers before this, the first was the cover of a Carlos Chavez album A Program of Mexican Music. The illustrations of Aztec musicians on the cover of the Chavez album were copied by Andy from the Codex Florentinus. Interestingly the illustrations for Madrigal's Magic Key have a similar simple hieroglyphic style to the Codex illustrations. Joyce's second record was made in 1929 at the Orthological Institute in Cambridge under the aegis of C.K. Ogden. 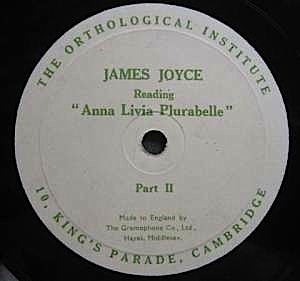 The recording of JJ reading from Anna Livia Plurabelle took up two sides of a twelve-inch disc and it lasts eight and a half minutes. It sold for two guineas (£2 2s), a large amount of money at the time. It sells for towards £1000 in good shape with a decent sleeve and is not scarce...there are five online as we speak and it is an auction staple. Other valuable talk records include LPs from the literary record producer Caedmon from the 1960s and 1970s. Kurt Vonnegut reading from Slaughterhouse-Five, Cat's Cradle etc., can make £100 or more, Anthony Burgess reading A Clockwork Orange is rare and worth several hundred dollars, William Faulkner reading his Nobel Prize Acceptance speech is exchangeable for a C note. 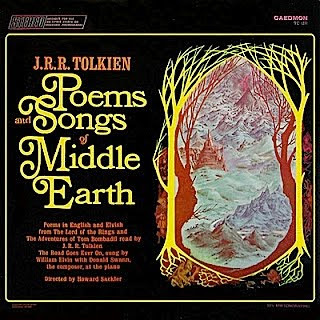 Also collectable and of some value are Caedmon recordings by Tolkien, Dahl, Sendak, Bemelmans, Dylan Thomas and odd items like The Borrowers read by Claire Bloom and extracts from Narnia read by Anthony Quayle. It's a rich field and the records can sometimes be found (overlooked and asleep) mixed in with collections of classical and rock albums. Does anyone know if Jerry Wible who's company did this record is still alive. I last hear of him running the 100 meters in 20 seconds in his 80s and that was 15 years back. Did you see the one on Ebay for 3000. When I was staying with friends in Connecticut during 1990 they proudly showed me their copy of a cookbook featuring line illustrations by one Andrew Warhol.I can recall nothing of this item, since I've never been interested in the artist. Any info would be welcome.